You may have come across my details in a piece in The Telegraph on Monday 10 September 2018 by financial journalist Laura Miller. Laura outlines a problem that is being observed in hospitals around the UK, in that some doctors are in the ludicrous position of effectively being forced to reduce their available hours due to the additional taxes that they will suffer for additional income. This has the inevitable potential to create longer waiting lists. Before we go any further, let me say that Laura asked me to check some sums from a Consultant doctor who was making the point about the annual allowance excess taxes. I have made no secret of the fact that I believe the tapered annual allowance is an utterly stupid Government policy. It isn’t the first and of course will not be the last. My only concern is that some may interpret the information as “greedy doctors worry about tax and so work less”. So I wish to make one point crystal clear. I have advised medics for over 25 years. I have met hundreds of them. I have never, NEVER, not even once met one that was motivated by money as a career choice. The early career of a junior doctor is particularly traumatic and frankly the NHS and Department of Health should be ashamed of the working pressures and timetables that they put them under. 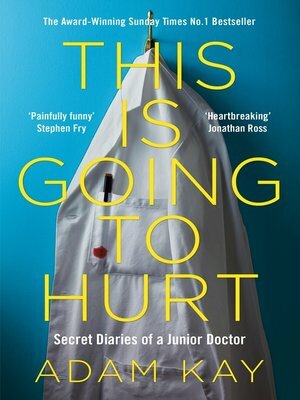 If you need any convincing, simply have a look at Adam Kay’s Book – “This is Going To Hurt”. Yet the system continues, because it is always under strain and there are not enough doctors to do the work within “normal” working hours or shifts. It is true that some doctors can earn very good incomes. The £10,000 annual allowance only applies to those with income over £210,000 – which is a lot of money by most standards. However, these are people that are highly skilled and at the top of their profession, have given way more than their pound of flesh and are constantly scrutinised for errors and lambasted by politicians and media whenever it suits. For the record, this is not Laura’s intent. The rather ludicrous rules also impact any doctor whose pension income improves by more than £2,106 in a year. This too would push them over the standard annual allowance and potentially suffer excess tax charges. The tax charge is treated effectively as income tax at the highest rate, despite the fact that the pension has not actually been paid to them, conceivably might never be paid to them if they were to die before retirement. In essence a tax on future, yet to be received income. This sort of rise in pension benefit could come from something as innocuous as moving up the grades, or perhaps for impressive work in the form of Clinical Excellence Awards – or even returning to a full-time post. This is all to do with the way in which the Annual Allowance is calculated for those in final salary schemes. I wrote to the previous Chancellor, twice, without reply on this subject when he presided over the introduced rules. Perhaps Laura will have more success. Suffice to say this is a complex piece of pension planning, a headache that neither the doctor, nor the NHS really should have to waste time on. Yet my advice is to all doctors is to request a Pension Annual Savings Statement as well as their Total Rewards Statement and ensure all payslips are carefully retained – as well as information about any and every form of income they receive from all possible sources. This is more unpaid work, increased stress and bureaucracy to satisfy some utterly numpty thinking at HM Treasury…. Nothing new in that though is there. Our free powerful new Finance & Tax app. If you would like a no-nonsense one page document explaining what financial planning is all about please enter your email here.